GAME NEWS: Activision Release Awesome 'MODERN WARFARE 3' Special Ops Survival Trailer! Activision have just released the new Spec Ops Survival Trailer for Call of Duty: Modern Warfare 3 which arrives this November 8th. F**k yeah. 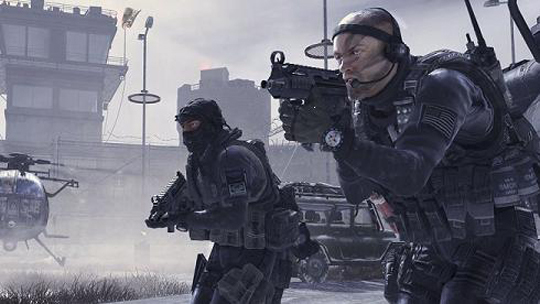 Modern Warfare 3 has three modes: a single player campaign, a multiplayer component & the Special Ops mode which is the awesome looking co-op section of the game. Hit the jump to check out the trailer which reveals some of the awesome perks involved in the mode. I'm reading: GAME NEWS: Activision Release Awesome 'MODERN WARFARE 3' Special Ops Survival Trailer!Tweet this!